We are sure the spirit of Active Citizenship is ingrained within each one of you! The contribution to be accompanied by supporting documents. You can send your work through photos/videos/poster/essay. Result – The best entry will be suitably rewarded. 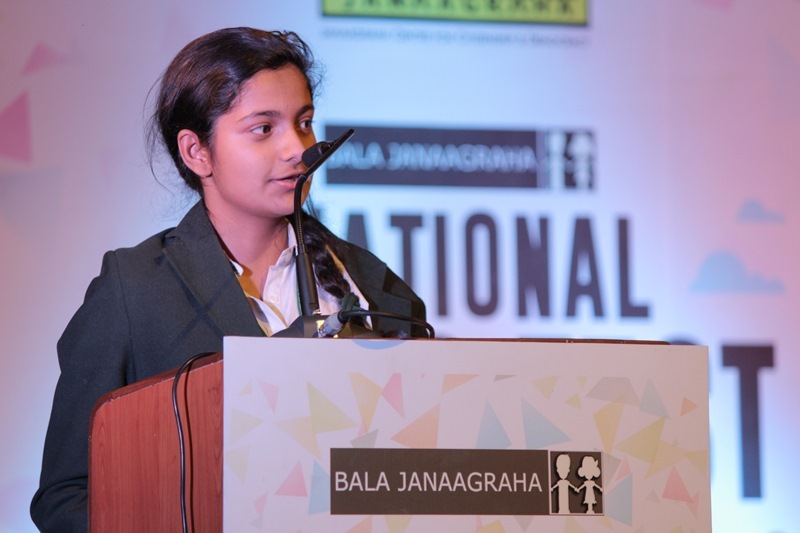 We are keen to ensure that children who have passed through Bala Janaagraha continue to engage with civic issues in their city even after the duration of the programme. 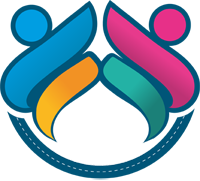 We see them as energetic evangelists of the philosophy of the programme, and are therefore keen to engage with them continuously. 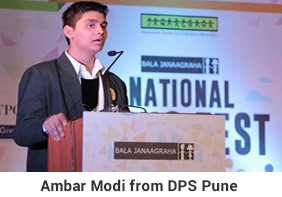 With this in mind, we launched the Bala Janaagraha Active Young Voices Competition in 2015. 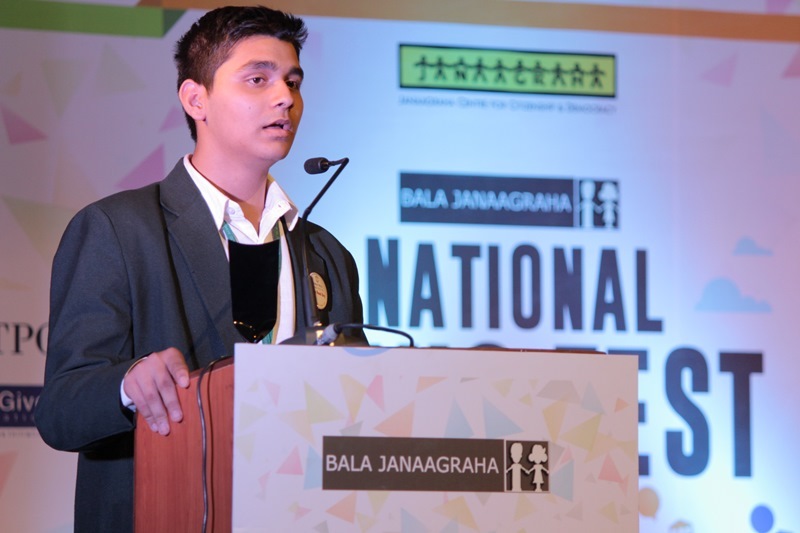 In this competition, which is open to all Bala Janaagraha alumni, each participant has to send in an essay about the civic initiatives he/she undertook in the past year and his/her key learnings from them. 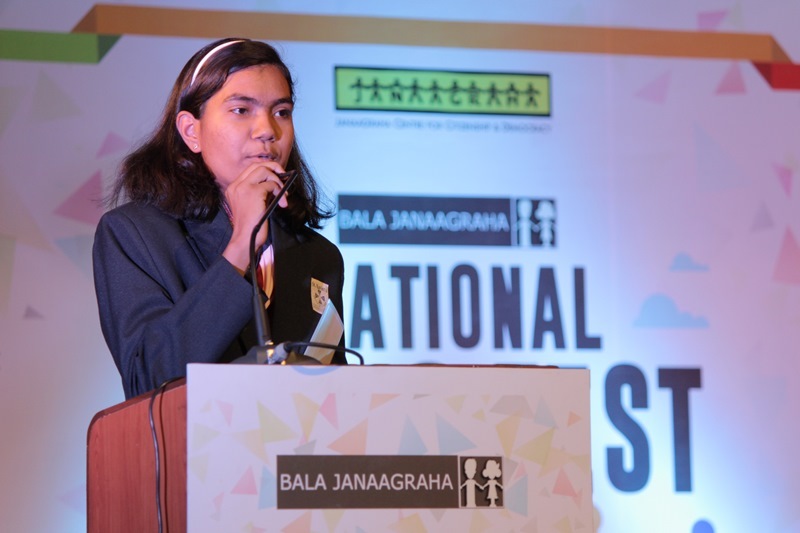 1st Prize: Tulika Bannerjee from DPS Pune – Part of the Bala Janaagraha batch of 2012-13. 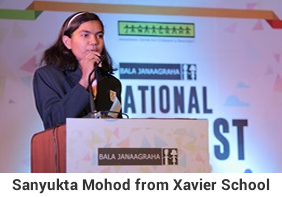 2nd Prize: Sanyukta Mohod from St Xavier’ s High School, Nagpur – Part of the Bala Janaagraha batch of 2014-15 and Ambar Modi from DPS Pune – Part of the Bala Janaagraha batch of 2012-13. 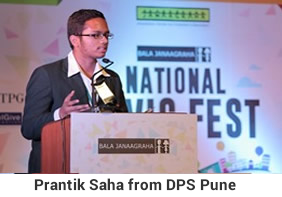 3rd Prize: Prantik Saha from DPS Pune – Part of the Bala Janaagraha batch of 2013-14.